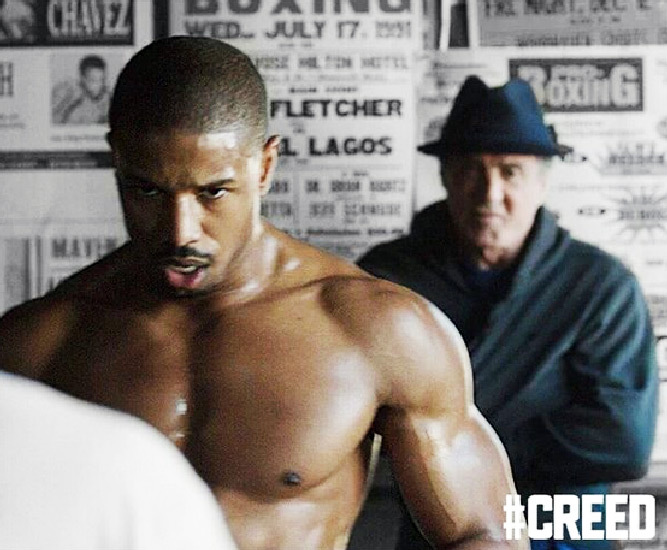 The Michael B. Jordan workout plan for Creed combined boxing, weight training and cardio circuits. Men’s Health and Men’s Fitness both interviewed Jordan to get his details. 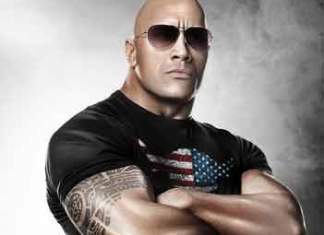 Jordan stars in the most popular “Rocky” franchise movie, since Rocky IV. Michael B. Jordan talks about how his workout plan changed his life. The moment we knew we succeeded in the transformation was when Sly Stallone came in, checked him out and was like, WOW! Starring in Friday Night Lights and The Wire required a decent body. Playing a superhero in Chronicle demanded an even better physique. But, taking over the Rocky franchise was the ultimate fitness test. It meant getting to a whole new level. Michael B. Jordan’s trainer took his workouts to a whole new level by mixing boxing workouts, with a traditional 3-Day Split. To become the son of Apollo Creed, transforming Jordan’s body was a tall order. We worked out all-day, every day for 4 to 5 months. Now, it’s down to 3 hours, split between lifting and cardio. Michael B. Jordan’s Chest & Triceps routine starts by jogging 1 mile at a moderate pace. Men’s Fitness reports he then progresses into the chest and tricep exercises of his routine. Incline Bench Press 3 10 "Incline" or "Flat"
Box Jumps 2 20 "30 sec rest"
When things started getting a little easier, and you’re suddenly benching 225 pounds 10 times, and it ain’t nothing. Then, you start giving hugs to girls and they’re feeling you up. You start to think: This is all right! You gotta come correct. You can’t come half-a**ed. I put the hard work in. Barbell Curl 3 12 "Standing"
I’ve done this a few times. and, I think he was in better shape than I ever was! Michael B. Jordan’s trainer would mix in speed boxing moves while weight training. For example, after a heavy legs set they would put on the gloves and pads. In these sets, the goal is for Jordan to start slow. But, he quickly picks up speed. This adds a cardio element into the middle of his workout plan. This mix of lifting/intervals is the best way to burn fat. Gaining muscle from heavy lifting is the primary goal. But, they always found time to get in some extra cardio. This helped chisel Michael B. Jordan’s body. I like to tell him the weight is too light. Before I’m done with the rep count, he’s already getting me a heavier weight. While it’s normally the other way around, Michael B. Jordan challenges his trainer. Getting his trainer to turn up the heat, Jordan demands more out of his own body. I tried all sorts of things. But, I like the hoodie because when you’re done, you get to take it off. It’s sort of an unveiling. Everybody’s trainer has their own little key. But, none of those worked for me. Until, I met this guy. For a more advanced version, check out Manny Pacquiao’s version of the Mitt Drill. Boxing Circuit: 3 sets of each exercise (1 minute of rest after each entire set). Do one exercise, then move to the next. Sometimes, you can’t see the destination. But, you do find out what you’re made of along the way. @MrCalliet has been sculpting me since the first day I walked into the gym. 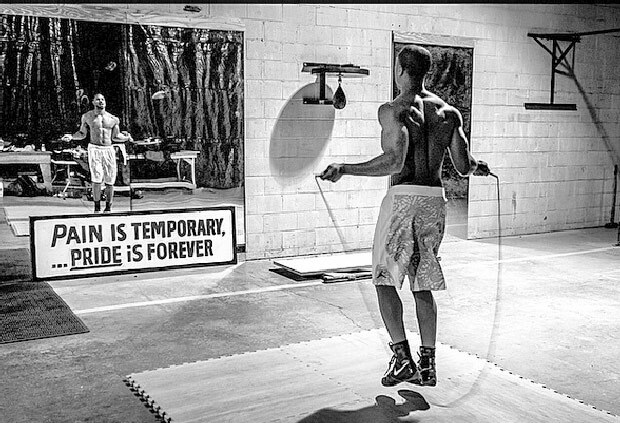 Tomorrow isn’t promised, and today is the youngest you will be for the rest of your life. Michael B. Jordan says his diet allowed for some cheat meals. This helped him maintain a strict diet the rest of the time. While some trainers go overboard in demanding 100% CONSISTENCY, Jordan credits his trainer with coming up with a diet he could live by. My cheat days were incredible. French toast in the morning, Philly cheese steaks in the afternoon, Pizza for diner. I did cheat days right! Like What You See? Share Michael B. Johnson’s Workout Plan Now! Man it must be nice being able to workout as a job. That diet plan is pretty demanding for the average joe that has a ordinary job and maybe a family. Chris, you know if Jordan did the 3-day split once or twice a week ? Hey good job with the workout you got the workout so right that I was done it all in one day and after my muscles grew a week later I had a body like creed exactly like his. Thank you man.